The CCHOA ended the 12th month on June 30, 2018 with an audited Reserve balance of $3,810,105. The unaudited month ending results for the CCHOA for July 31, 2018 and the 1st month of the 2018/2019 year are enclosed for your review. The combined Reserve account balance is $6,573,553.83 (the Reserves have increased significantly due to loan repayments). The reserve balance is less than the balances for July 2017 which was $8,082,276.97. The July Reserve balance for 2016 was $8,289,701.08. As previously mentioned in prior Treasurer's reports, last yearsí significant maintenance projects were mostly responsible for the reduction in the Reserve balance, which is to be expected during significant maintenance projects. These projects are basically completed, but there are additional projects being undertaken in Kingston and Mardi Gras. 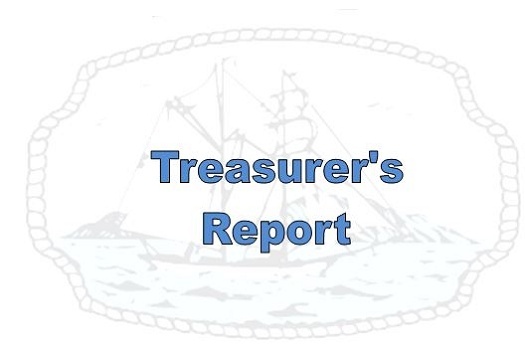 As mentioned at the Annual Homeowner's meeting, the Reserves should continue to increase as annual dues are received and the construction loans to Montego and Antigua are paid. Individual Village CCHOA Reserves, by Board Resolution, must be at a 50% value by 2023/24. The ultimate safety goal is 100% in 30 years. This should insure that deferred maintenance is not acceptable for the CCHOA. Currently the following Villages had higher expenses than that which was budgeted. As mentioned at the Annual CCHOA Homeowner's meeting the CCHOA Board (the Bottom Line presentation slide) through the General Manager is committed to monitoring operational expenses to insure that the Homeowners are receiving the very best value for the funds expended. This also includes maintenance Reserve projects where at least three bids are received from competent bidders unless only sole source bids are available. The more significant areas where expenses are over that which was budgeted are listed for each of the Villages. A more detailed accounting can be requested from the CCHOA office or on the website after the monthly Board meeting. Common Administration, maintenance personal leave, landscape contract, dock wages, monitoring service, refuse removal, outside contractors, WATER, permits, LEGAL, annual meeting and Board discretion. Antigua Village, ceiling repairs, gas/electric, and water. Bahama Village, water. Blue Anchor Cay, water. Port Royale Village, water. The Finance committee and the CCHOA Board continue to monitor investments to insure that the investments are as safe as currently possible. The first criteria is safety with yield second. The current investment rational centers on a laddered approach to investing with a current one year goal. This is as a result of the FOMC (Federal Open Market Committee) recently indicating that their monetary stance says that economic growth is rising at a steady rate. Comments from members of the FOMC include two rate increases this year and possibly three rate increases next year. Of course the FOMC Committee can raise rates at any time but the next anticipated increase is on September 26, 2018. Should rates NOT increase the CCHOA most likely will begin to seek investments that mature out more than one year and up to four. An additional rational for short term investing is that rates beyond one year are relatively flat and your Finance Committee and Board wish to take advantage of possible future higher rates while continuing to seek the best rates available around the US. Before decisions are made to invest CCHOA Reserves, the General Manager, Controller, maintenance Director, and the Treasurer discuss the current financial needs and then invest any non-needed funds. Most recently $600,000 was invested in 3 month T-Bills at 2.035%, $600,000 in 6 month T-Bills at 2.185%, $500,000 in 9 month CDs at 2.15%, $500,000 in 1 year CDs at 2.35%, and $300,000 in 15 month CDs at 2.50%( this maturity moved beyond the one year approach due to the improved offered rate). The Wells Fargo investment advisor continues to help the CCHOA seek the safest investments around the US. The US Prime Rate currently is 5%.